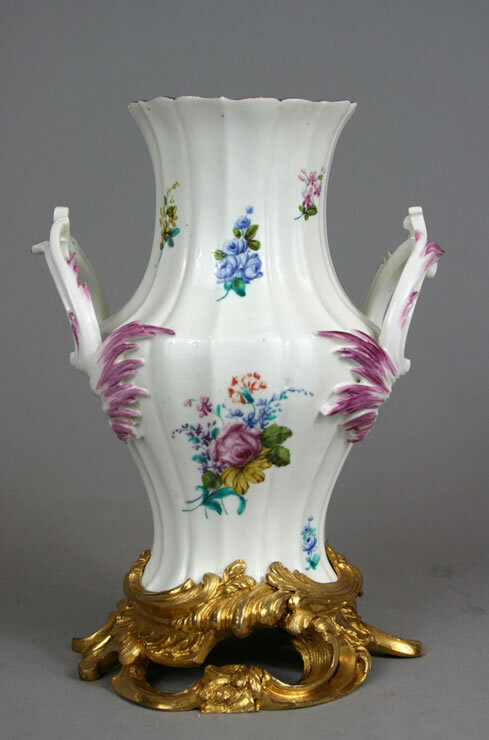 Fine and rare ormolu mounted Chantilly Vase Côtelé, delicately decorated with bouquets of polychrome flowers. Circa 1750-55; Iron-red hunting horn mark. Literature- The Elizabeth Parke Firestone collection of Chantilly porcelain – Connoisseur magazine 8/69, P. 10.